Laser Eye Surgery or LASIK surgery is a revolutionary treatment liberating thousands of Australians from chronic eye conditions like astigmatism, myopia and hyperopia. In recent years, has fast become one of the most seamless, pain free and successful procedures in modern medicine. According to The American Refractive Surgery Council LASIK has a 96 percent satisfaction rate, results in 99 percent of patients achieving 20/40 vision, and sees over 90 percent of patients achieve 20/20 vision or better. The idea of having Laser eye surgery might be an enticing one, but for some, the cost of the procedure might seem to make the ability to achieve 20/20…out of sight. Thankfully NewVision Clinics is committed to making this life-changing transformation more achievable. Here are some quick tips on how you too can make the most of services that are available to assist everyday Aussies. 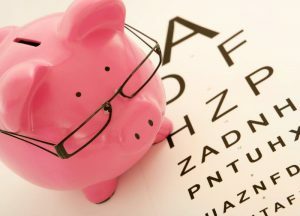 Some health funds such as BUPA, HBF and Police Health may pay a portion or the whole amount of your laser eye surgery fees dependant on your level of cover. NewVision Clinics patients with BUPA Ultimate Cover are covered completely. With Ultimate cover patients typically receive higher benefits for dental, optical, physiotherapy, podiatry and chiropractic at Members First providers, and in most instances receive 100 percent back. It is important to inquire with your health fund about the level of assistance they can provide prior to surgery to confirm this as post surgery the options become more limited. Unfortunately there are a number of health funds that do not provide adequate cover despite providing rebates for glasses and contact lenses meaning there is a need for alternative options! When it comes to money, ‘worry-free’ is hardly a term that comes to mind. But, thanks to interest-free finance options, the burden of paying everything upfront is alleviated. Interest-free finance is a concept, whereby customers can agree to repay money for products or services over a certain period of time with no added interest. There are usually other conditions to abide by but it has set many people free! 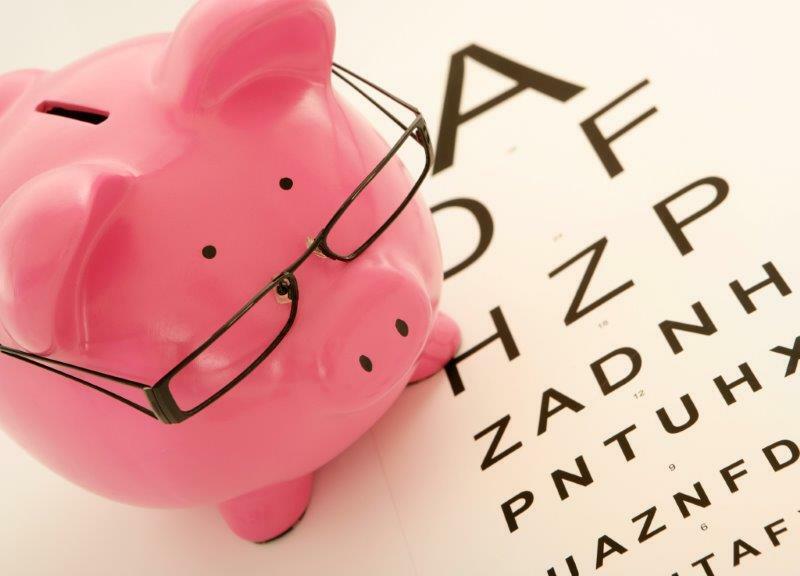 Having corrective eye surgery may appear like a significant cost in one hit, but like many things taking a monthly finance option makes it more than palatable. Monthly interest-free payments at Melbourne’s NewVision Clinics around start around $379.17 per month for 6 months, with half payment up front. That’s just under $100 a week, so for a period you could to cut back on the luxuries we all know we have like that extra family outing once a week, or the takeaway meals that can be easily duplicated in the home kitchen. This will greatly benefit the patient who doesn’t want to compromise on time, service or even safety as the full reliability, experience and benefits of the upfront price are included. This is a popular method for patients who want their laser eye surgery now or are worried that if they wait they will never get around to it — for example, those ready for a wedding or ready to go on their first overseas holiday. Another form of financing is bank assistance, that has quickly become a norm in society. Many Aussies now rely on ‘Other People’s Money (OPM)’ as the saying goes, for their first home loan. Mortgage specialists are fast sought after as people look to find their dream home. Nowadays banks have competitive rates on small personal loans with the ability to mix and match your current borrowings or income for leverage. But if you’re keen not to ‘break the bank’ then interest-free personal loans from smaller lenders or brokers are seeing an upward trend in Australia. Companies like nimble, credit24, ferratum payday, payday 247, and loan ranger cash loans are becoming popular as in most cases they have same day cash delivery. In addition they also take on the case of those disillusioned with big banks by providing interest-free services.Buyer Beware, they usually max out their loan capacity at $5000. Latitude Finance is a company of note, offering the ability to pay back your loan at a quicker rate without penalty to avoid extra interest costs. Alternatively, Gem Visa has become one of Australia’s more flexible options. Gem allows customers to enjoy six months interest free on most purchase over $250. Utilising participating Gem retailers allows users the freedom to use it as a normal credit card, without the hassle of additional interest or pressure on repayments. Considering a credit union, such as Police Credit Union or People’s Choice are other great ways to find the middle ground between the little guy and the big bruiser banks. Led by Professor Noel Alpins—a recipient of the Order of Australia AM Honour, NewVision Clinics can help you achieve better vision, without the hefty costs. Call 1800 20 20 20 to book your path to 20-20 vision, one eye at a time. Alternatively, head to the online booking form to secure your no-obligation consultation.